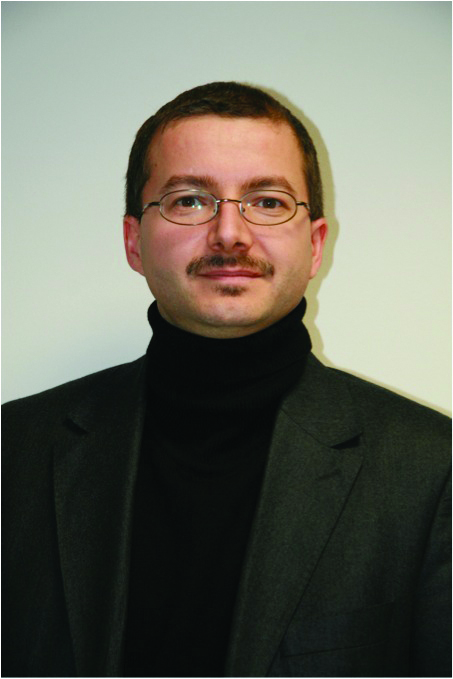 Jacques Chevalier is an engineer at the CSTB divisio n on Energy, Health and Environment. He is a specialist in energy engineering and Life Cycle Assessment (LCA) and one of the driving forces in the development of the environmental assessment of buildings and building products in France. » Jacques Chevalier, you will assess the environmental performance of components and systems developed within the frame of the European project clear-up. How is that done? What are the measures? Well, a first well-known measure is the energy use of a new component or system. That is also what most people ask for when investigating a new component or system. However, the environmental soundness of an innovative component or system depends not only on the energy use during operation but on the entire lifecycle from cradle to grave. Hence, a life cycle assessment (LCA) is essential to get a complete picture of the environmental performance. Such an analysis will also be applied within clear-up. » Can you explain in a few words what a life cycle assessment is all about? A life cycle assessment or LCA assesses the potential environmental impacts of a product through its entire lifecycle from cradle to grave. All inputs to (energy, resources) and outputs from (emissions, waste) the product system are analysed for each lifecycle stage. Subsequently, within the lifecycle impact assessment, the inputs and outputs are linked to their potential environmental impacts and the global impact is evaluated. Finally, the results are interpreted and reported. The procedure itself is an objective and quantitative methodology standardized according to ISO 14040 and 14044. » Such a life cycle assessment (LCA) seems to be a lot of work. But is that really the thing to do? and their environmental benefits in the use in buildings. The first step, the optimization of the environmental design, can and should already be approached during the development phase of a component. A LCA carried out at this stage can support and guide the product development team. It allows for an insight view on the causes of the major environmental burdens, for instance due to the use of a particular base-material or production technique. Based on the LCA results adaptations to more environmentally friendly alternatives can be made – at least if technically available and feasible. In a second step, once the innovative component is more or less developed, LCA can contribute to give a quantified, objective analysis of the environmental benefits of the product in its use phase. Let us take the example of the clear-up vacuum insulation panels (see article p. 4-5): A LCA of a vacuum insulation panel will give us a quantitative measure on the energy gains of the vacuum insulations panels versus more traditional insulations alternatives versus the intrinsic environmental impacts of the vacuum insulation. » So your LCA studies will bring the environmental information of clear-up components and systems to the building market? Yes, that will be the overall goal. The LCA studies and the environmental information gained within will be used to convince and inform the building market of the factual contribution of clear-up components to a clean and resource efficient building. Beyond that, we will further translate the environmental information collected in the LCA studies into Environmental Product Declarations (EPDs) as that is the most common communication format (a declaration). It provides verifiable, accurate and quantified environmental data for a building product or component and serves as basis for a subsequent evaluation on building level. » I guess such EPDs are very important to convince the building market of new products. However, I can imagine that the set-up of EPDs for innovative products or products in development is not as simple as it sounds. Indeed, that is rather a challenge but the European standardisation process on environmental assessment for buildings and construction products within CEN TC 350 “Sustainability of construction works” is working on that. And that is also where clear-up can contribute with its experience on the development of EPDs for innovative products. So, within due time, and construction sector hopes that this will be still in 2011, construction industry can benefit directly from the standards on the assessment of environmental performance of buildings and construction products. » We are looking forward to it and are curious about the environmental benefits of clear-up components and systems! 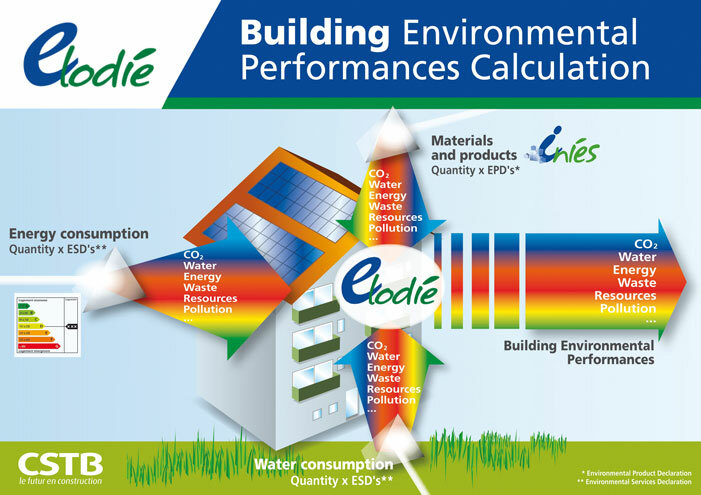 The building environmental performance calculation model. INIES is the French database on environmental product declarations (EPD) and ELODIE the software tool for the subsequent evaluation on building level developed by CSTB.